Poland withstood the recent global economic recession relatively well, thanks to its sound economic policies, healthy economic fundamentals and broad-based support for large and small enterprises. A little more than two decades after the fall of the Berlin Wall, Poland has emerged as one of Europe’s strongest economies. Following the recent global financial crisis, while the rest of Europe experienced a painful recession, Poland enjoyed continuous GDP growth ranging from 1.6% per annum at the height of the crisis in 2009 to 4% a year in 2010–2011. 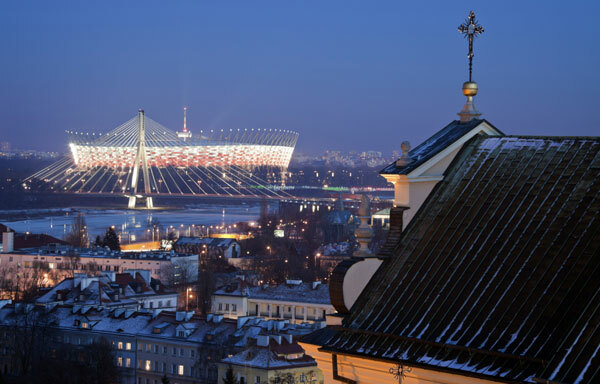 “Poland’s economic performance in the past five years has been nothing short of amazing,” Witold Orlowski, former chief economist to the president of Poland and chief economic adviser at PwC, wrote in a blog for the London School of Economics last September. Poland increased its standing within Europe, stated Orlowski, raising its GDP per capita to 65% of EU GDP in 2011, up from 54% of the EU average in 2007. Unlike the rest of Europe, Poland escaped the worst of the global economic recession. “Poland is the third-largest and third-most-liquid destination for investors in emerging Europe, and it has a large domestic market, which makes it less dependent on eurozone exports than the remaining CEE countries,” explains Carl Meurling, chief executive of Emeralt Investments, a Stockholm-based bank that specializes in Russia and emerging Europe. When the recession hit Europe in 2008, the International Monetary Fund projected a contraction of approximately three-quarters of a percent for Europe in 2009, based on diminished global trade prospects and sharp declines in domestic investment. For Poland, however, the IMF projected a small level of growth. “Poland’s resilience owes much to sound economic policies that have helped the country avoid the buildup of large external and internal imbalances seen elsewhere in Central and Eastern Europe,” noted economist Delia Velculescu of the IMF. “Because Poland entered the crisis with relatively healthy fundamentals, the government was able to implement countercyclical policies. These, in turn, are now cushioning the downturn,” she added. At the core of Poland’s economic resilience is the Warsaw Stock Exchange, which now trades 443 stocks and boasted a market capitalization of $140 billion as of December 2011. According to PwC’s IPO Watch Europe Survey, the WSE had the largest number of company IPOs (105 out of a total of 263 for the whole of Europe) in 2012. With the fall of the Berlin Wall in 1989, many of the former Soviet bloc countries relied on quick fixes, such as massive borrowing and large-scale privatization, to generate instant economic growth—fixes that have come back to haunt them. Many chose to reward political cronies instead of professional managers. Others undertook large-scale infrastructure projects that required massive borrowing, mostly from abroad. Emboldened by its strong union roots, Poland tried a slower, more balanced approach. That meant focusing on developing the domestic economy, often favoring SMEs over giant state-owned enterprises. “It was slow and awkward at the start,” recalls Faris, but the United States Agency for International Development, which provided grants to the Polish-American Enterprise Fund—now called Enterprise Investors—favored a more diversified approach. There was also support for a tiered set of services: not simply private equity and venture capital, but small loans and microloans. Enterprise Investors’ focus was on building a Polish economy that could be financially self-sustaining. And that meant providing capital not simply to large enterprises but to small ones as well. The investment fund quickly recognized that the programs couldn’t work without recruiting Polish professionals who weren’t simply asset managers but who had skin in the game. In the beginning, it was difficult to find professionals who would leave corporate posts to work at the enterprise fund. But a few visible successes—IPOs of companies such as ComputerLand and Elektrobudowa—and sales to corporate buyers made recruitment easier. Faris also realized that rebuilding the Polish economy meant rebuilding the ecosystem of capital markets and financial institutions. “We promoted the development of Poland’s capital market by launching professionally managed companies on the WSE—companies that were conspicuous on account of their high standards of corporate governance and above-average growth rates.” Among some of the major homegrown companies that Enterprise Investors assisted and that went public on the WSE were the First Polish-American Bank in 1994, pharmaceuticals company Polfa Kutno in 1995 and packaging manufacturer Grupa Kęty in 1996. Too often, emerging markets stock exchanges are seen as havens for speculators. But the WSE is now home to companies that are professionally managed, financially transparent and regulated. After Poland entered the EU in 2004, local companies attracted financial and strategic investors from different regions of the world, notes Znamirowski of PolishOrigins. “At the beginning they were mainly Western European or American companies, but now there are also investors from Asia—especially from China, India (steel manufacturing, roads infrastructure) or Korea (electronic equipment, household devices).” Poland also boasts a promising internal market with a population of 38 million, which is growing in affluence and purchasing potential, Znamirowski adds. As global financial organizations like the World Bank’s International Finance Corporation provide capital to private equity groups in emerging and frontier markets, the lessons from Poland are clear. Fixed mandates are restrictive. There is no substitute for creative playmakers, such as Enterprise Investors, who can call the game as it evolves and not stick to a plan that often becomes outdated even before the game begins. Much of the credit for Poland’s economic staying power goes to a little-known investment program: The Polish-American Enterprise Fund was started in 1990 by a group of US investment professionals, with the help of their Polish counterparts. New York venture capitalist Robert Faris, formerly of US private equity firm Apax, and former Dillon Read chairman John Birkelund started the fund with an initial $240 million grant from the United States Agency for International Development (USAID). The fund established the Polish-American Freedom Foundation in the US, and in 2000 the foundation commenced operations and opened a representative office in Poland. The foundation’s mission was, “unleashing and supporting local communities’ development potential, particularly in rural areas and small towns,” says Jerzy Koźmiński, its president and CEO. The foundation financed its activities from the revenues generated by the Enterprise Fund. The fund—now known as Enterprise Investors—spawned eight funds since inception with a combined capital of €2 billion. It has invested €1.6 billion in approximately 130 companies from Poland and other Central and Eastern European countries. The result is a Polish economy with a strong financial market, a diverse industrial base and a vibrant set of domestic companies. “It worked because we were able to experiment across a spectrum of approaches,” says Faris, who remains chairman of the fund. “We kept those [approaches] that worked and discarded those that didn’t.” Unlike many funds that have their mandates cast in stone, Enterprise Investors was able to do private equity, make agricultural loans, microloans to small businesses, all with the support of the local banking economy. “We were willing to risk the unknown,” says Faris. The support of USAID also gave the fund’s managers the freedom to deploy a range of strategies and services. The idea wasn’t simply to revitalize the Polish economy but to create a private sector that supported the political transformation then taking place, noted Birkelund. Poland also saw the emergence of specialist banks that lent specifically to SMEs and provided microloans. 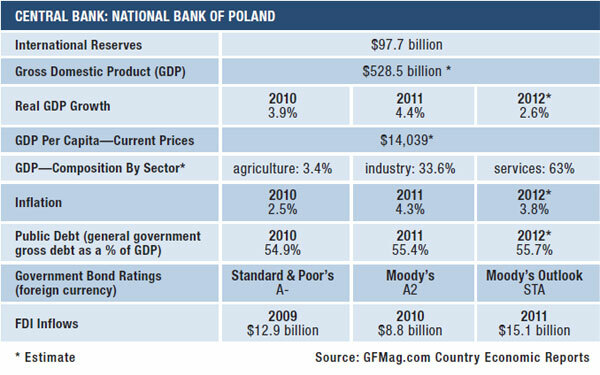 In 2011, Poland had 67 commercial banks and a branch network of 574 cooperative banks—institutions that provide a wide range of financing. Five of these banks were the result of investments by Enterprise Investors. The financial institutions it helped establish brought in foreign corporations, both as strategic partners and as capital providers. 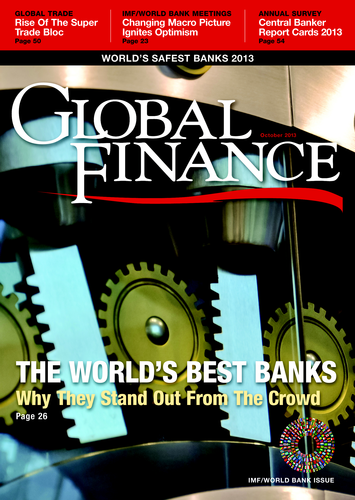 They included GE Capital, General Motors Acceptance Corporation (now Ally Financial) and Nynex from the US, Generale Bank and Fortis Bank from Belgium and Rabobank from the Netherlands.